Two shows ran simultaneously at the Santa Barbara LOL Comedy Festival last night: The Hot Funny Femmes at the New Vic and Russell Peters at the Granada Theater. The Hot Funny Femmes were hilarious and got a standing ovation to prove it! The list included Amy Anderson, Nadine Rajabi, Rachel Bradley, Monique Marvez, Jill Michele Melean, Jen Murphy, Kimmie Dee and Grace Fraga. One of the highlights was finding out Amy Anderson is the mother of Aubrey Anderson-Emmons, who plays Lily Tucker-Pritchett on Modern Family! She talked about how her daughter earns more money than her during her set, and the crowd loved it. I asked Russell for his take on the situation in this short interview. But if you’ve ever seen Russell live, you know he can’t be kept secret for much longer. 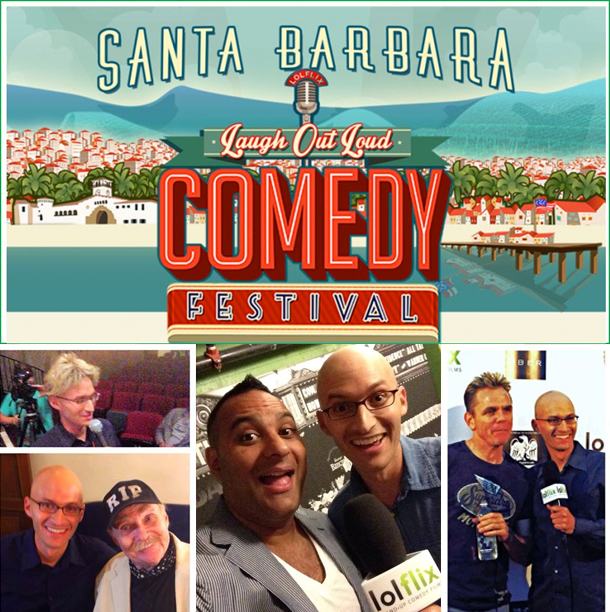 See you tomorrow, where it’s funny and sunny at the Santa Barbara LOL Comedy Festival.